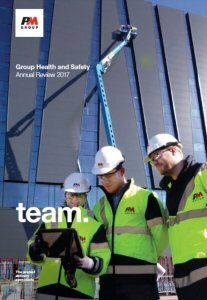 PM Group has published it’s Health & Safety Annual Review for 2017. The review details PM Group’s Health and Safety Core values, Certification and Awards, Campaigns and Performance as well as International Health and Safety Activities. Please click on the report cover below to view the report in full.